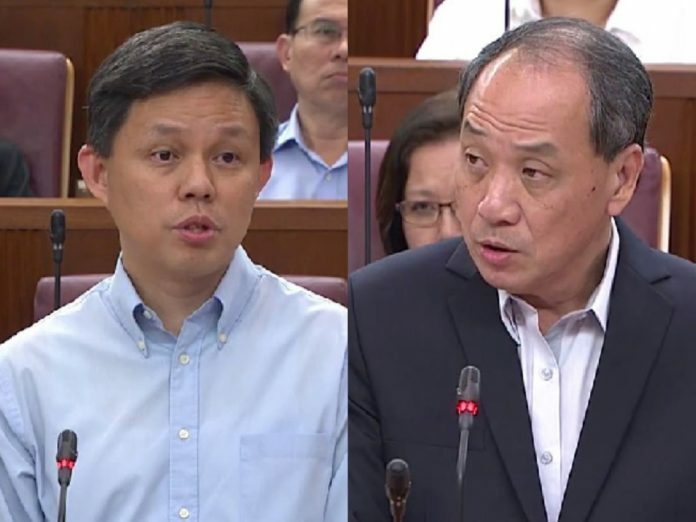 Minister for Trade and Industry Chan Chun Sing thanked veteran Workers’ Party politician Low Thia Khiang for his contributions, in Parliament today. Low recently handed over his post as WP secretary-general to Pritam Singh but remains in the party’s contributions. “While we may not always agree with his perspectives or methods, we nevertheless appreciate his efforts to work together to build a better Singapore. “Although Mr Low may have different perspectives, but from his speeches, we can detect his pride in Singapore and his determination to defend our sovereignty. Chan added that the ruling PAP Government looks forward to working with Pritam Singh and the WP to “put Singapore’s and Singaporeans’ interest first, always”. The last time Chan interacted with Low in Parliament prior to his nod to the opposition leader today was when then-Education Minister Ng Chee Meng clashed with Low over the GST hike announcement. Ng Chee Meng took over Chan’s former posts as Minister in the Prime Minister and leader of the labour movement in the latest Cabinet reshuffle that occurred shortly after the exchange with Low.